Getting through a divorce is though and arranging for child custody is even tougher. Although parents might not be in the best terms, they have to realize that the child needs to feel as little pressure as possible during the whole process. Going to court to settle child custody can be a traumatic process. Parents will have bring out all the ugly issues in between them and children are sometimes asked who they want to live with. Specialists say that children deal better with the situation when the custody is settled through negotiations. Here is how to get a favorable child custody settlement. Agree with the other parent to have a calm and rational discussion about your child’s custody. Keep in mind the child’s best interest above all. You are both subjective and might not be able to reach an agreement. It is best to get the help of an experienced mediator. Shared custody usually work best, as both parents feel that they have equal rights and don’t feel left out. They are more inclined to reach an agreement this way. Get a good family law attorney. Find one through your friends or just look one up in the yellow pages. Make sure to have an initial appointment to establish if the lawyer is fit for your case before hiring. Observe the manner in which the attorney is planning to handle the case. The best approach is to put you in the best light, not to bash the other parent. Make sure you feel comfortable with your lawyer, as you will share a lot of time and a lot of personal issues with him. If you cannot settle matters through mediation and a judge has to make a decision, be prepared for an evaluation by a psychologist. 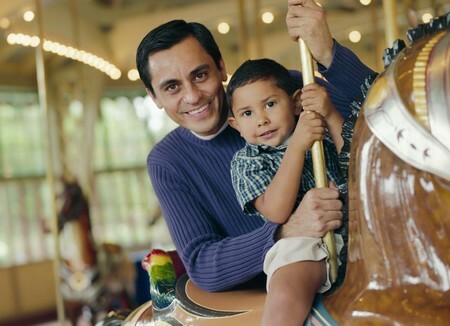 Child custody evaluation are quite common in child custody cases. Listen to your lawyer and take his advice. You might be tempted to act differently, but keep in mind that the family law attorney has the experience and the legal knowledge that you lack. He is only there to help you get the best arrangement possible. Don’t get angry and don’t make false accusations. Judges favor calm parents who are not out to get the other parent, but prove that they only have the child’s best interest in mind. If there is however some sort of abuse happening to you or the child, don’t keep quiet about it. Any kind of abuse is traumatic and it’s a serious matter the court should know about before making a decision. Try to prove that you are not lying by police or medical records. Once you reach an agreement through mediation or you have a custody settlement through a court’s decision, respect it. Not respecting the custody agreement might get you to losing any custody or visitation rights you have.